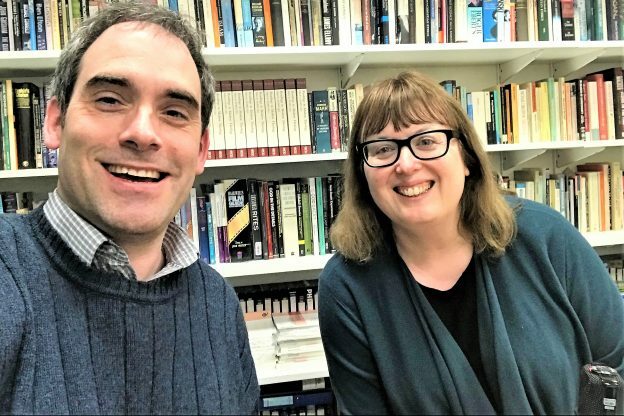 In the latest episode of the Nostalgia podcast series, Dr Chris Deacy, Reader in Theology and Religious Studies in the Department of Religious Studies, speaks to Jo Pearsall, Deputy Secretary of Council and the Court at the University, and an alumna of the School of History. Jo discusses how her earliest memories seem to be from photos and we learn that, despite coming from a sporty family, she isn’t sporty herself. Jo also talks about how strange it feels to work in the same university from which she graduated ten years previously; listening to the ‘Pina Colada’ song as a child; the relative merits of reading for pleasure and reading for study; why she was freaked out by ‘Witness’; whether she was a ‘Swap Shop’ or a ‘Tiswas’ person on Saturday mornings; why she was keen on studying 18th century history; the importance of degree congregations, her love of opera and Cher, what would have happened if Staffordshire County Council hadn’t given her free violin lessons up until the age of 18, and what might have happened if her dreams had been even bigger! This entry was posted in Campus online, People on 22 March 2019 by Tim Davies.